An ex-boyfriend's mum first introduced me to Clarins' bodycare range and although the relationship wasn't to be, my love affair with Clarins has been rather more successful. I really like the results driven products, particularly the treatment oils and am always excited to hear about a new addition to the range. In time for summer, Clarins have added two new firming products to their bodycare range: Extra-Firming Body Lotion and Extra-Firming Body Cream, as I was sent to try. Regardless of the texture you prefer, both products retail for £39.50 for 200ml which I'd say is pretty standard for the brand. I don't feel it's necessary to comment on the packaging other than to say it's in Clarins' signature style, which the majority of people are familiar with. The cream itself is pale apricot in colour, with a luxurious scent and a very thick texture, almost like a butter. In spite of this, it absorbed into my skin quickly and I was impressed that it left absolutely no greasy residue, meaning I could get dressed quickly. The Cream is packed with beneficial ingredients such as Lemon Thyme extract, Shea Butter & Hazelnut Oil. My skin felt wonderfully conditioned from first use and although it took more time to notice the firming benefits, the fact that it's such a pleasant product to use meant that I actually stuck with the regime. 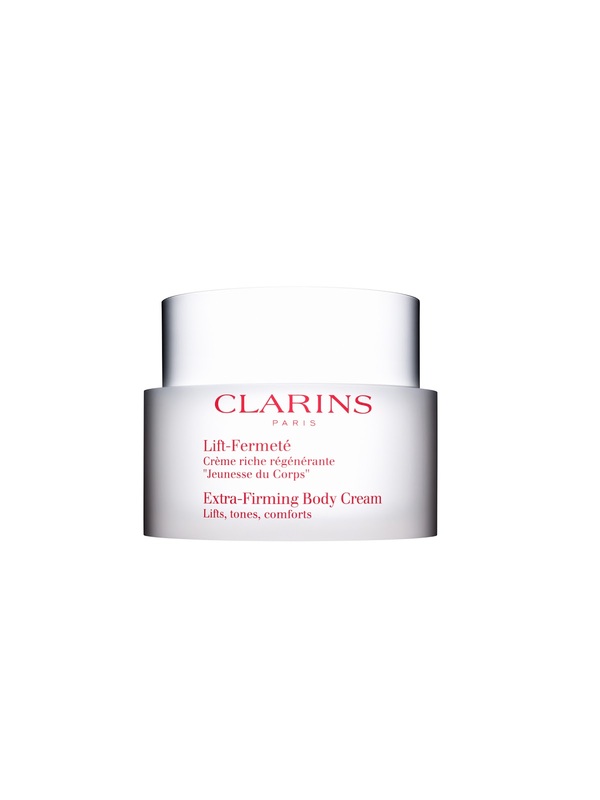 It's not a miracle worker but I've really enjoyed using Clarins Extra-Firming Body Cream, yet another product which has lived up to my high expectations from the brand.